GIS application in agriculture has been playing an increasingly important role in crop production throughout the world by helping farmers in increasing production, reducing costs, and managing their land resources more efficiently. GIS application in agriculture such as agricultural mapping plays a vital role in monitoring and management of soil and irrigation of any given farm land. GIS agriculture and agricultural mapping act as an essential tools for management of agricultural sector by acquiring and implementing the accurate information into a mapping environment. GIS application in agriculture also helps in management and control of agricultural resources. GIS agriculture technology helps in improvement of the present systems of acquiring and generating GIS agriculture and resources data. AABSyS IT uses GIS application in agriculture sector such as GIS agriculture for improving present method of acquiring and generating agricultural and resources data. 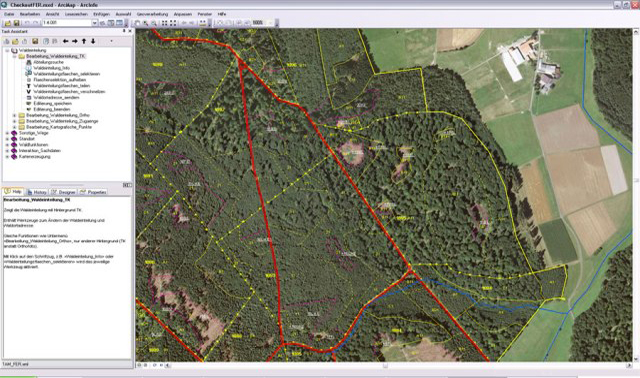 These studies and projects can be executed on any standard GIS formats using high end software such as ArcGIS, ERDAS Imagine/ER Mapper, MapInfo and AutoCAD Map, and ArcFM. • Develop all its resources sustainably for the professionalization of user satisfaction. • Make a real contribution to the people of Indonesia in particular and Asia Pacific in general in the field of geospatial. • Committed and the best value for all interested parties with regard government programs, community participation, and environmental stewardship. • Manage, maintain, and keep all the data and information so that the principle of confidentiality is assured.